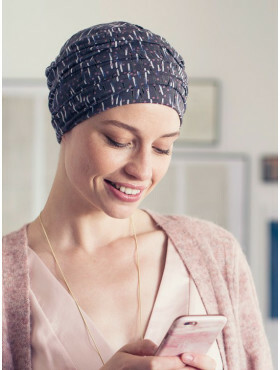 This stylish chemo scarf consists of a kaki green coloured hat in a soft stretch fabric which is easy to slip on. The scarf in the matching print is attached to it and is easy to tie in the nape of your neck. Ready in no time at all!